Everyone loves a good hot dog. And while NYC maybe be the King of all “hot dog cities,” I just cannot get on board with the boiled ones at street carts. Yes they are good in a pinch and the quickest street-meat snack you might be able to get, but to me a hot dog needs to be grilled. I grew up on grilled red hots from Ted’s Hot Dogs and was eager to find something on par while living in the New York area. 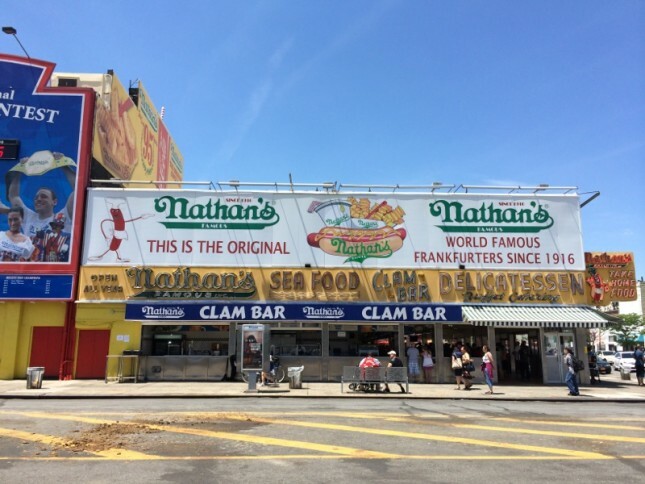 Enter, Nathan’s Famous. While working in the area, I decided to stop by the famous hot dog spot for a quick lunch before heading back to Brooklyn. Boy, was that a good decision. 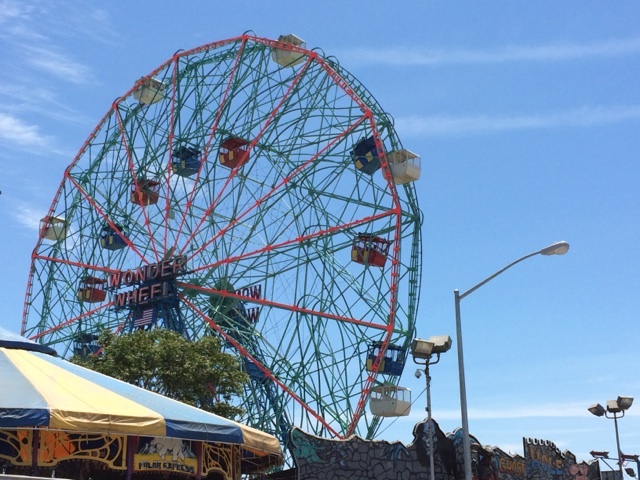 A hot and steamy day at Coney Island, nothing says summer like sand in your toes, lemonade and a delicious hot dog. In addition to hot dogs, the menu was packed with all sorts of delights including Philly cheesesteaks, corn dogs, chicken sandwiches and more. 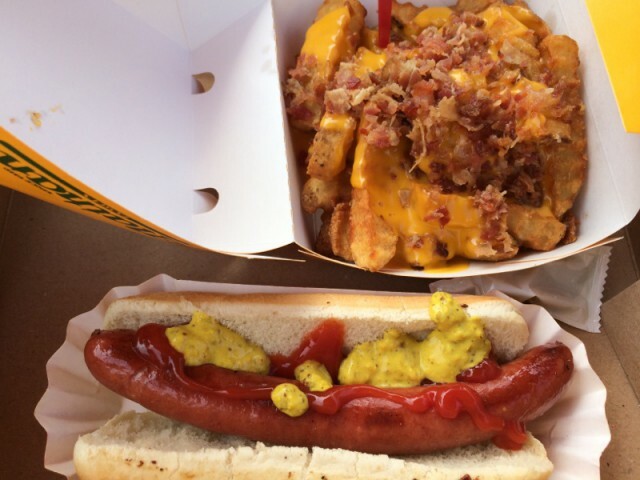 Here’s a look at the hot dog and french fry options. For my lunch I went with an original hot dog — obviously a classic, with mustard and ketchup. You really can’t go wrong. As a side, the cheese fries with bacon and old school lemonade were calling my name as the perfect additions to this “all-american” meal. That was really a “Mean Girls” moment right there. 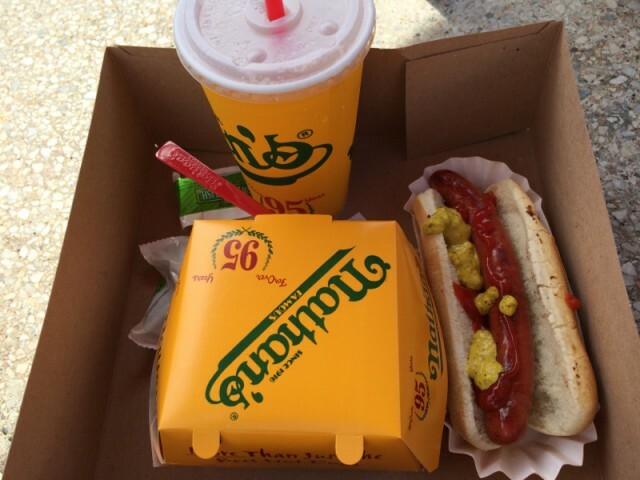 It might not have been the healthiest meal, but it’s summertime in New York City, enjoy the goodness. 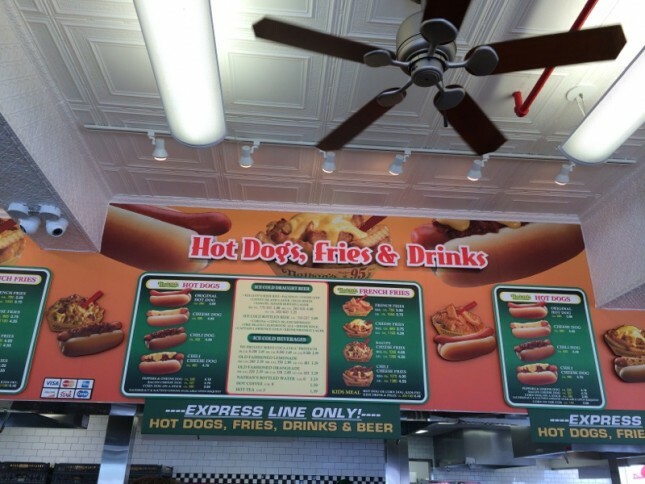 Tags: Beach, BROOKLYN, cheese fries, Coney Island, fries, Hot dogs, lemonade, Ted's Hot Dogs. Bookmark the permalink.